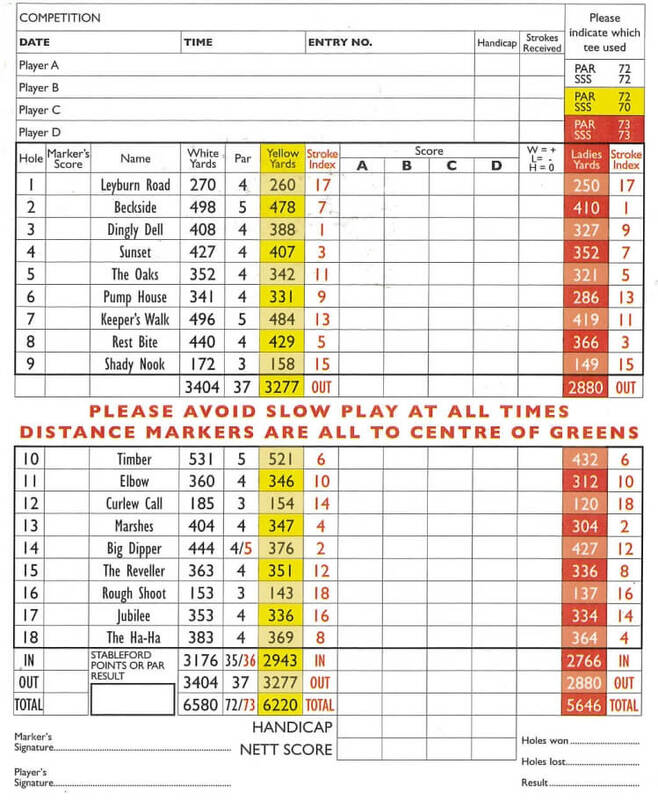 A classic risk and reward par 4 to open your round. 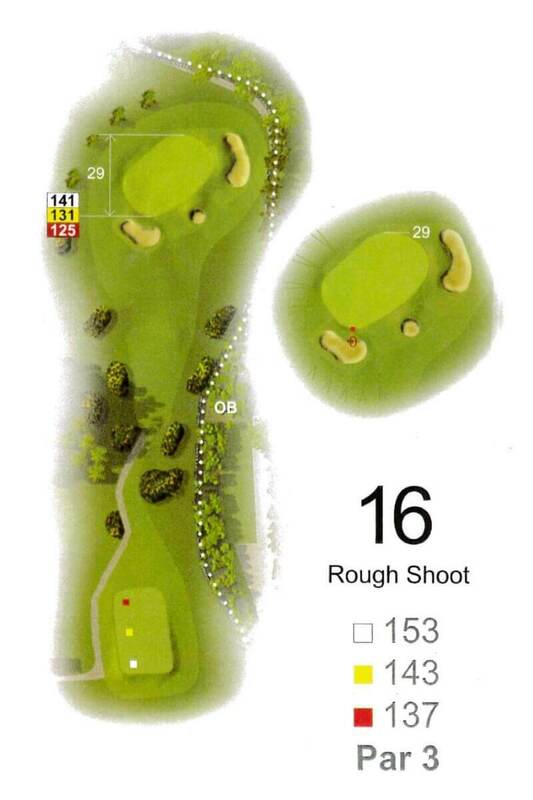 This is not a long hole but is not one for the faint-hearted. The pond which is short and left of the green will catch any mishit drive. There is also out of bounds to the right which, with the prevailing wind blowing left to right, is always a consideration when using a driver. A cautious approach using 2 irons is often beneficial. 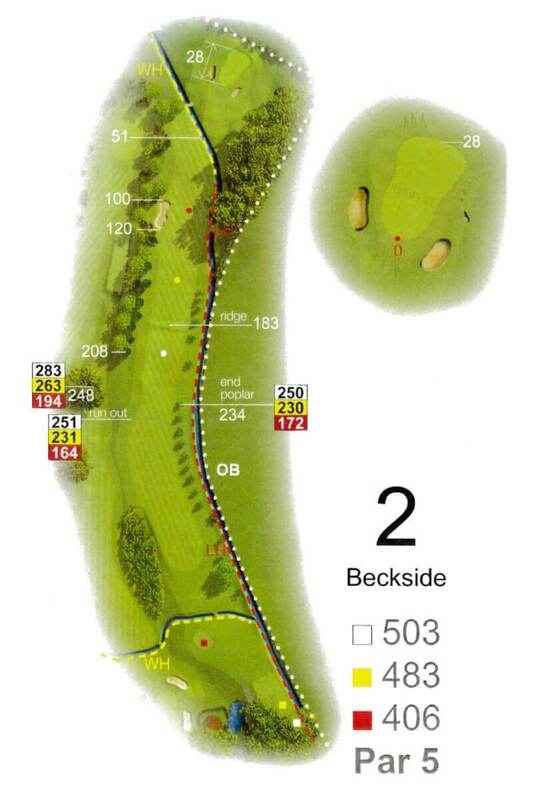 A tough par 5, with a beck and out of bounds all the way up the right. The beck meanders back across the hole short of the green which is further protected by bunkers to the right and left of the front of the green. Big hitters might attempt to get over in two but beware. 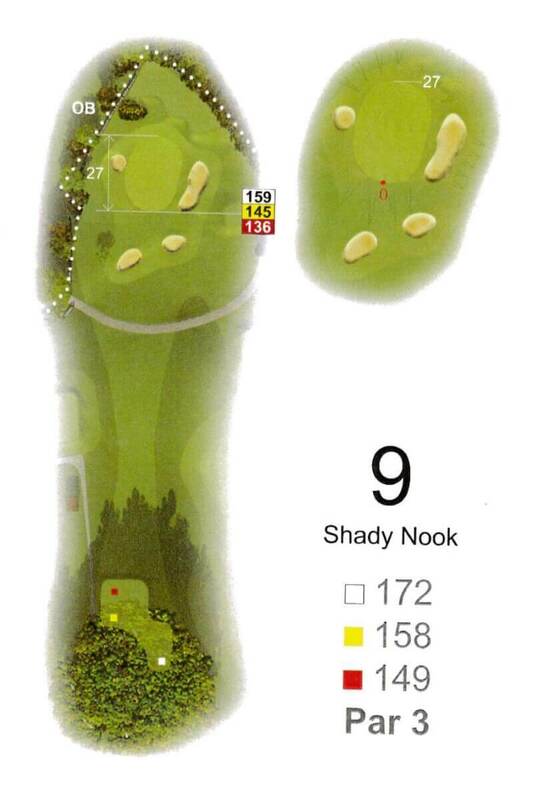 This par 4 is stroke index 1. 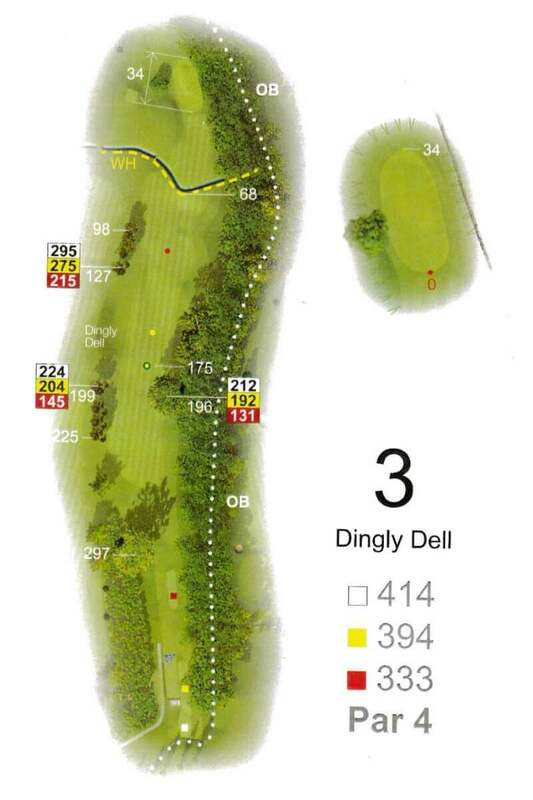 A tight drive through trees, with out of bounds to the right, and the “dingly dell” to the left. The second shot requires accuracy as, not only must you carry a ditch, to a low lying green, you need to avoid the large tree to the left. Interestingly to the right hand side of this fairway there are two plane trees which, it is suggested, are the most northerly in the UK. A long and strong par 4 into the prevailing wind! 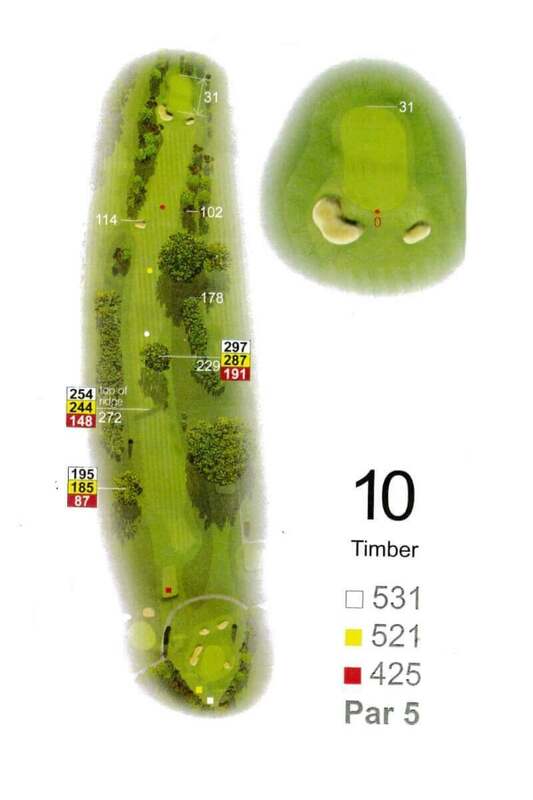 The hole requires a strong drive, but having achieved this there are still problems with an accurate long shot required to make the green which is totally surrounded by trees and slopes from left to right. Despite having no bunkers this hole is one of the toughest on the course. 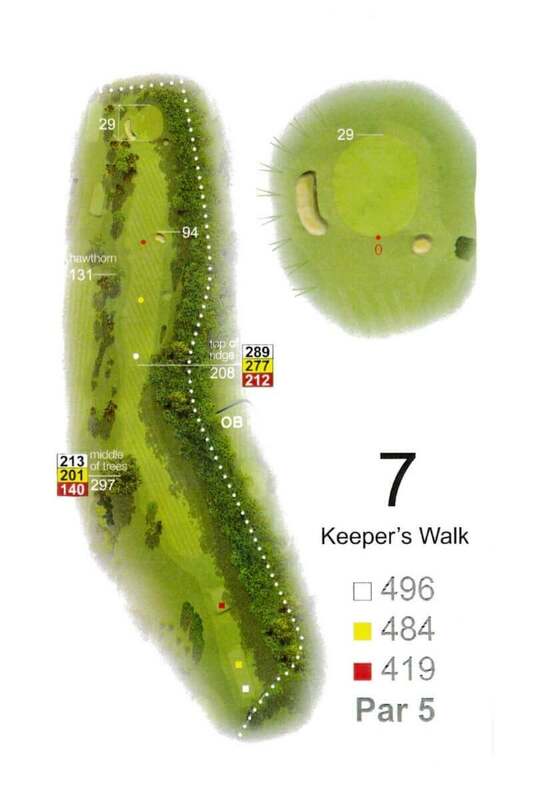 A short par 4 but accuracy is everything as the hole dog-legs left at around 200 yards. Your drive passes a copse of large old oaks to a fairway flanked by trees left and a ditch right. The ditch then meanders across the front of the green which means your second shot is then played over the ditch and up to an elevated green. The green is further protected on the left hand side by two bunkers front and back. A deceptively awkward hole. A testing par 4 with a tee set back in the trees with a visually intimidating mound to the right housing the irrigation system pumphouse. 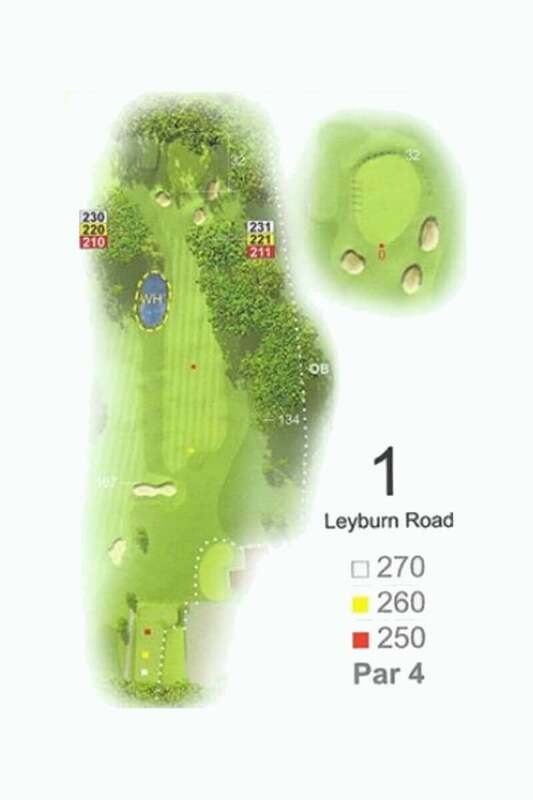 The hole requires a drive to the right side of the fairway to ensure a good look at all of the green, which is tucked behind a tall copse of trees on the left. Bunkers to the front left and to the right of the green will collect any wayward second shots. 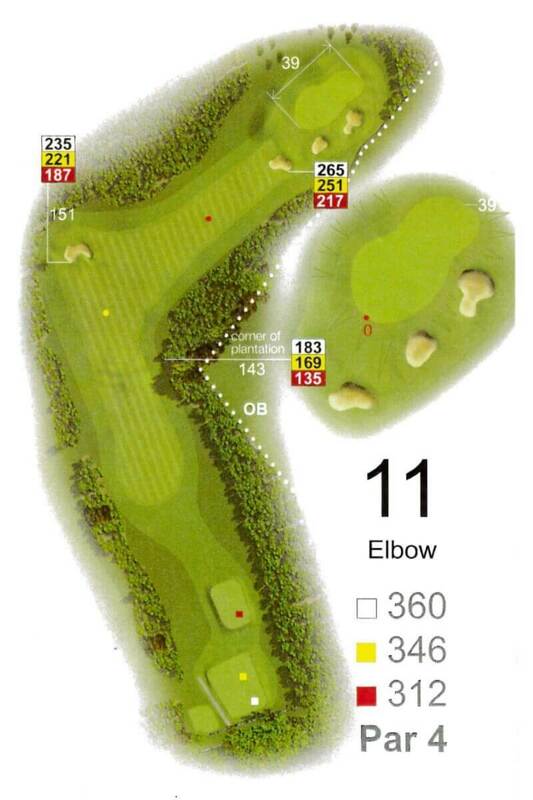 This is a very reachable par 5 for the big hitters and is a slight dog-leg left to right. The fairway cambers left to right and there is danger on the right off the tee as out of bounds awaits the stray tee shot. If you can keep your tee shot to the left then three solid shots should tee up a good birdie chance! Named after the Half-Way-House close to the green. 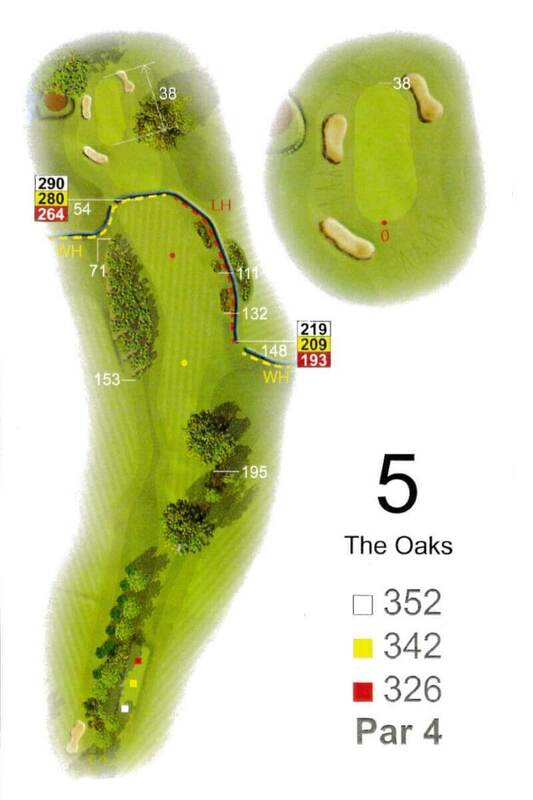 This long par 4 has mature trees both sides of the fairway and from the tee, the players are faced with the prospect of negotiating large well-established Oak Tree which encroaches on to the right-hand side of the fairway and forces the tee shot to the left on to a fairway with a left to right camber. Par is always a good score here. The first par 3 is played to a well-bunkered two-tier green that nestles in the corner of the course, making it both extremely pretty and challenging with out of bounds to the left and right. 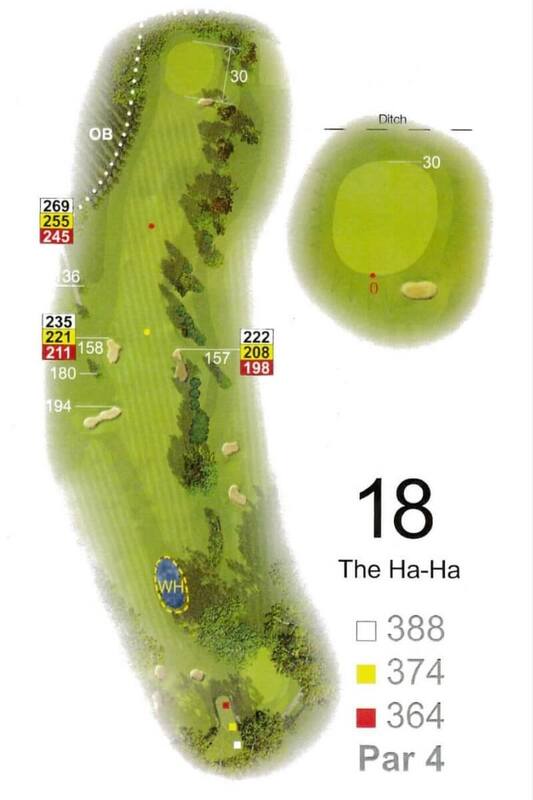 The bunkers are to be found, two to the approach and one to each side of the green. Named after the magnificent tree dominating the right-hand side of the fairway, this tree is of such age as to appear individually on some of the earliest OS maps. To the right of the fairway, there is also an ancient barn formerly used for storing hay in the days when the land was part of the local estate’s Home Farm. 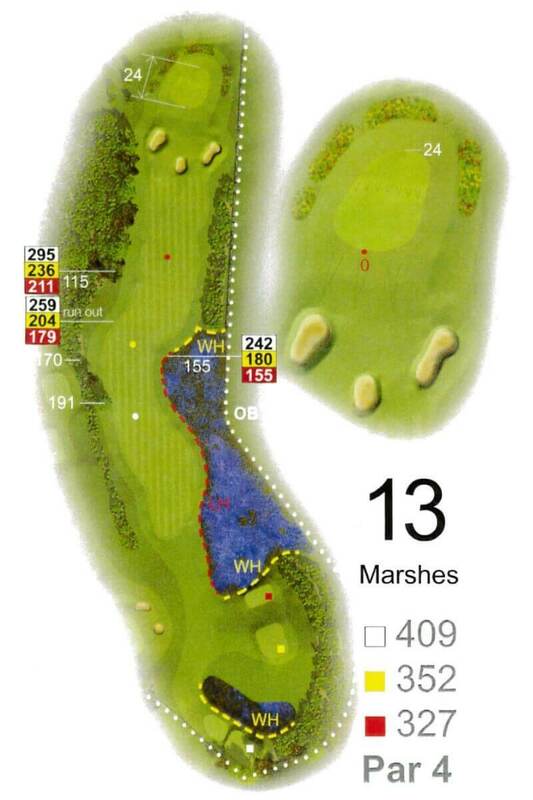 This long par 5 plays into the prevailing wind making getting home in two a rare event! Once you reach the green it is guarded by two bunkers and a small run-off area to the left. A very challenging start to the back 9. This par 4 is a 90 degree dogleg to the right. 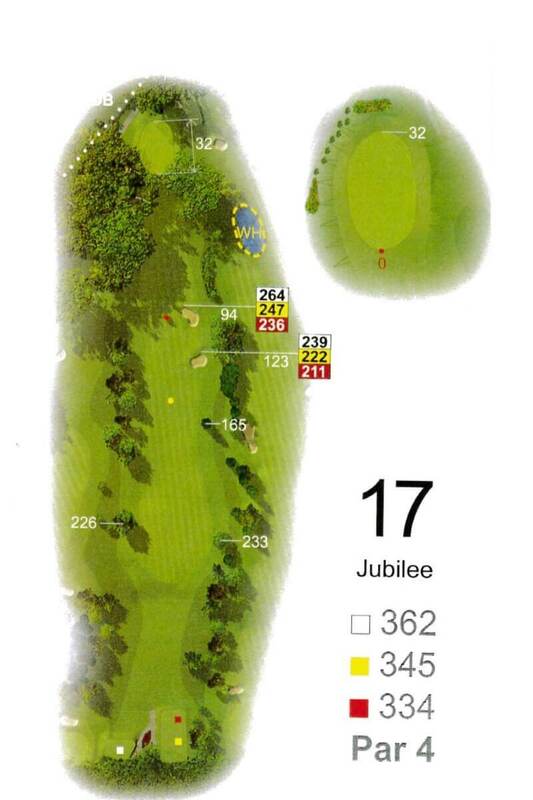 Big hitters will be tempted to carry the corner, but a lot of trees await on the far side. The hole places a premium on an accurate drive as a bunker and deep rough await an over-hit drive whilst anything short of the elbow will make it difficult to find the green. Once around the corner the green is protected by three bunkers on the right-hand side and to the right of the bunkers there is out of bounds. The second par 3 is into the prevailing wind and slightly uphill. 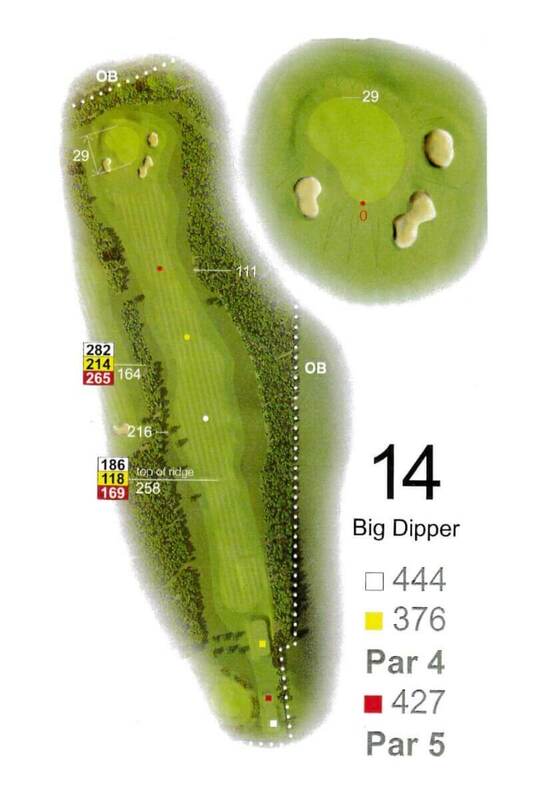 The green has difficult run-off areas to three sides and is protected to front left and right side by deep bunkers. There is deep rough and hawthorn bushes to the rear of the green and out of bounds beyond the bunker to the right. A par here always feels a well-earned one off the medal tee. This is the club’s ‘Signature Hole’. Long-hitters will often consider going straight over the marsh, whilst the more cautious take the safe route down the left of the fairway. 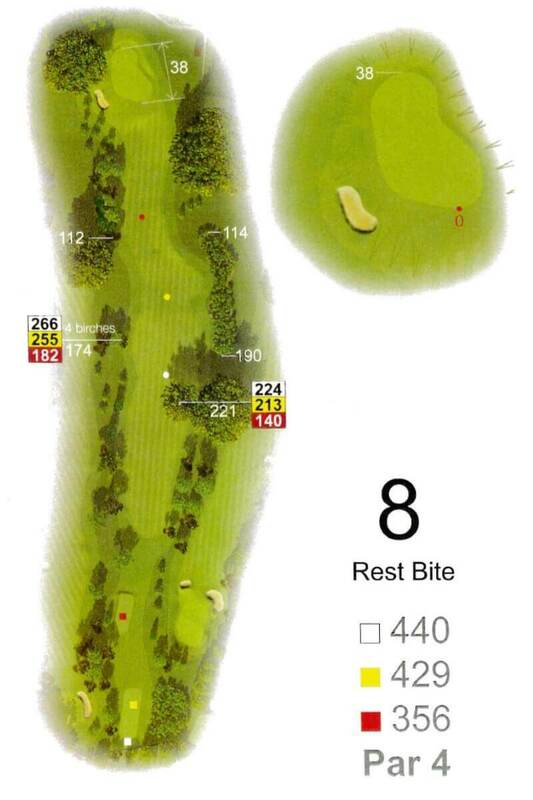 Either approach requires a drive of great accuracy to facilitate access to the green with your second shot. 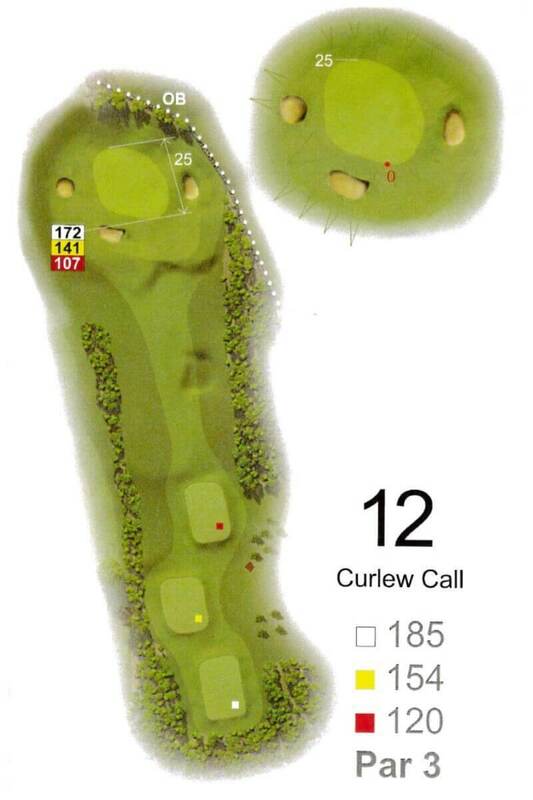 The green is cut into the banking and is two-tier and can produce the most devilish of puts. The approach shot is further complicated by 3 strategically placed bunkers in front of the green. As one Past Captain famously said this hole is a quarter of a mile and a bit long and on occasions it can certainly feel like that. The hole is played form an elevated tee from which, to the north east, you have views all the way to Teesside and the North Yorkshire Moors and to the west you have a view up Wensleydale. Just perfect on a summer’s evening. The playing of the hole requires a long straight drive which will benefit from the downhill part if a carry of 170 yards can be achieved. The approach is then to a green well framed by trees and protected to front left and right by two large bunkers. Named after a famous 18th Century racehorse, reputed to be buried under the tee. All of the trouble on this hole is on the right, out of bounds awaits stray tee shots, whilst wayward approach shots can fall down the large bank. Cherry trees planted on the bank above and to the left of the green offer some late round refreshment to both players and birds in the early part of summer. 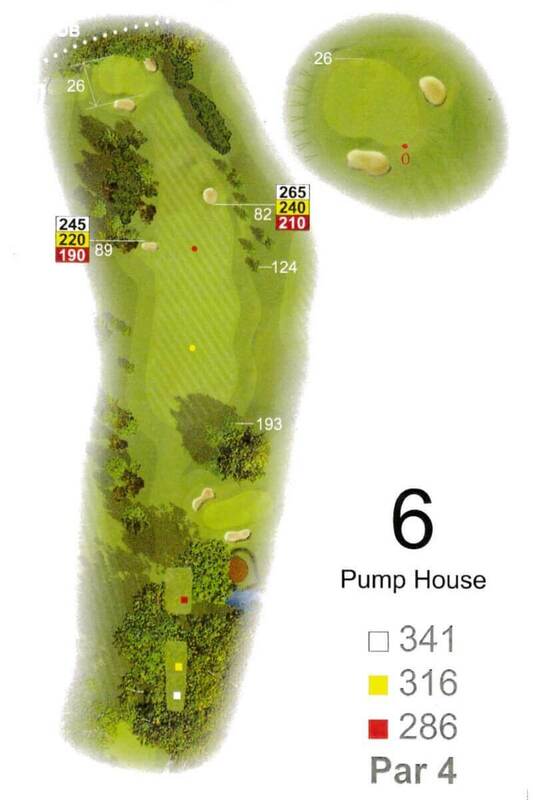 The last par 3 on the course and the shortest on the card, but don’t be fooled by the yardage, if you miss this green getting up and down from one of the two bunkers or from the run-off areas in front of the green is never an easy task. This hole also has another ancient stone barn to the right of the hole which historically and currently serves as a livestock shelter. This hole has a large copse to the left of the green which was planted to celebrate the Diamond Jubilee of Queen Victoria. These trees together with the one guarding the green on the right, make for a difficult approach and it is essential that attention is paid to placing your tee shot in the correct place. 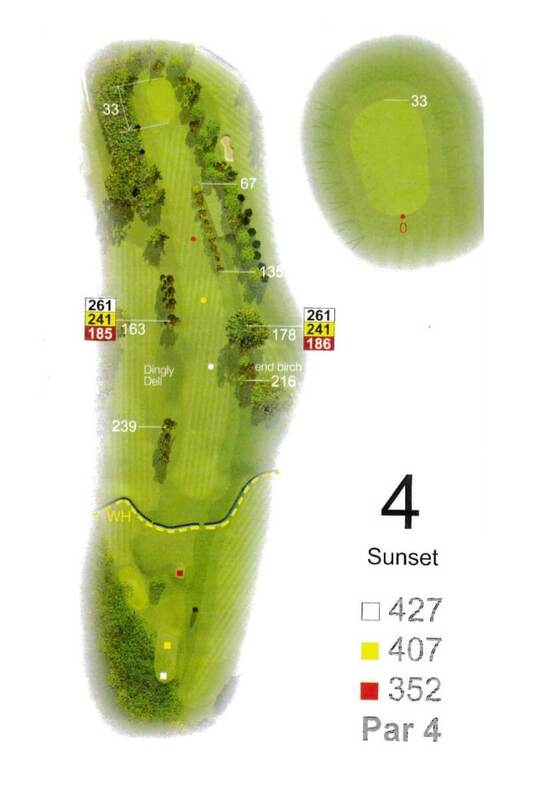 Add to this the two bunkers to the right of the fairway and great imagination is required to find a shot to the green. A great finishing hole that plays up the hill towards the clubhouse with a slight dog-leg left to right. 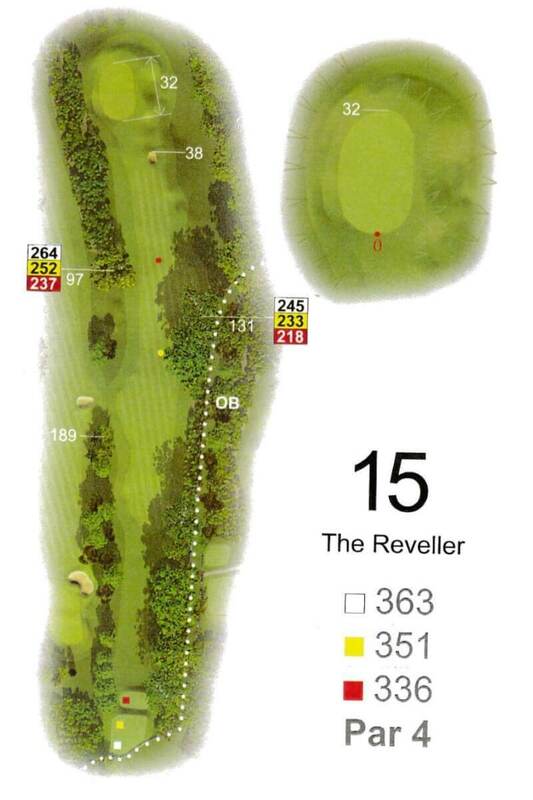 The name of the hole is derived from the ditch which forms part of the boundary to the left of the hole and is the dividing line between the parkland attaching to Bedale Hall and the course. A good drive and a good approach are rewarded, anything that strays will find trees to the right and out of bounds to the left of the green. Always a rewarding par to finish. Another great day at Bedale Golf Club on our annual trip to Yorkshire, always a friendly welcome and excellent course.